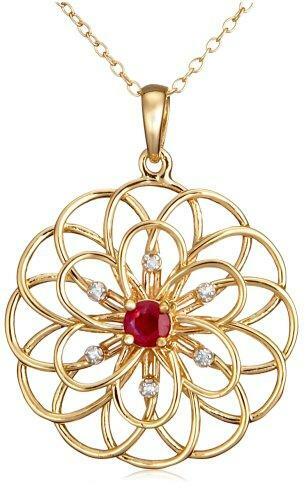 Gold-plated sterling silver wire forms a spiraling flower design, with a subtle diamond accent and a genuine ruby at the center. The faceted ruby is held securely in a four-prong setting and has a purple-red color. 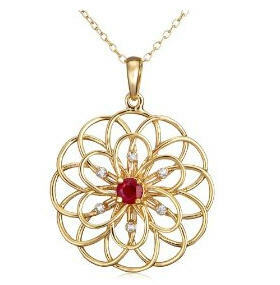 This lovely pendant is showcased on an 18-inch cable chain that fastens with a spring ring clasp.